Last week we introduced the Lisbon Street Art Tours followers to our weekly WEDNESDAY WALL OF FAME with Preencher Vazios. 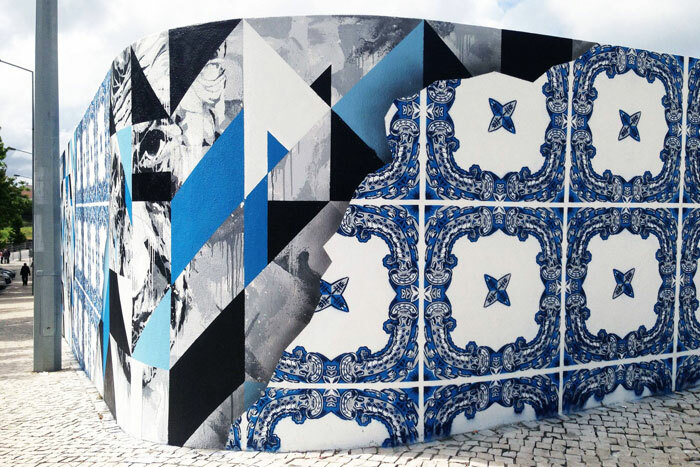 A project to create awareness about the fragile status of azulejos on the many buildings that occupy the smaller and bigger cities of Portugal. Today we want to introduce you into the possibility of creating your own. If you wonder if it is possible to create your own version of this ancient Portuguese tradition, our answer is YES YOU CAN ! First a little lesson in history. Because these painted tin-glazed ceramic tiles weren’t born in Portugal. Though over here a tradition was set to practice different styles and techniques throughout history, at least the history from the 16th century onwards. Originally they date from the 13th century, in the Arabic world az-zulayj «polished stone». 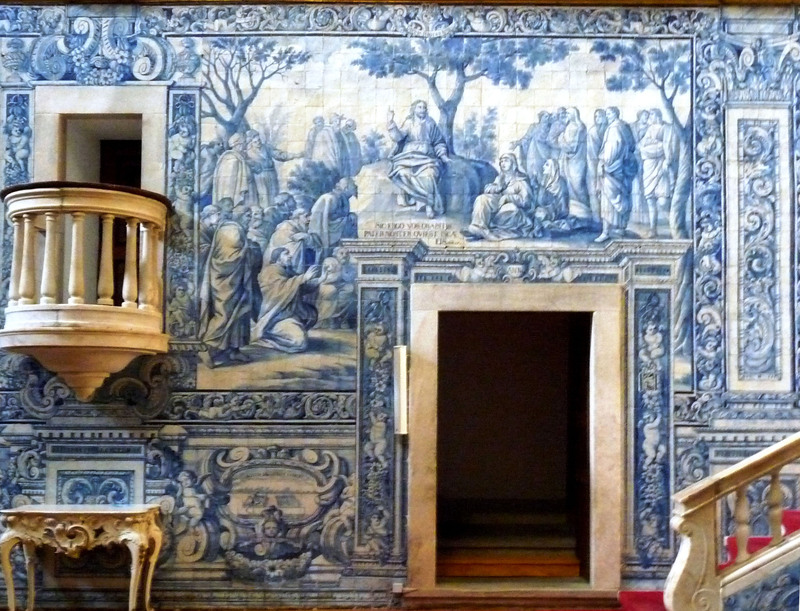 The Portuguese got absorbed by this Moorish tradition of horror vacui «fear of empty spaces» and the trend was set to cover as well as decorate the walls with azulejos. One has all kind of shapes and compositions on these square ceramic tiles, may it be simple, geometrical, or modern twist… may it be blue and white or green and yellow or black and orange… And last but not least to summarize the wide diversity of tileworks, they do not only function as decoration though also as isolation to protect the buildings from cold/warm temperatures. May it be on the inside and/or outside of the façades. The Italian graphic designer Luca came up with a more contemporary as well as surreal version of this old tradition. Using completely unrelated topics creating a surreal landscape of creatures, objects and poses. 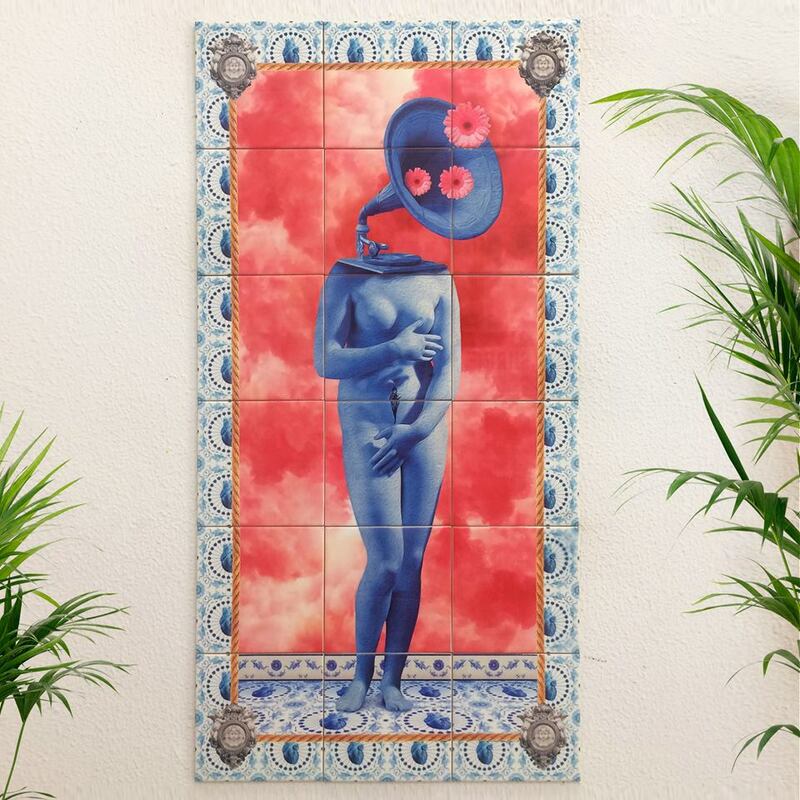 Under the name of Surrealejos® referring to azulejos surreais «surreal tiles» he created a vision “in which waking and dreaming are both present to combine harmoniously”. 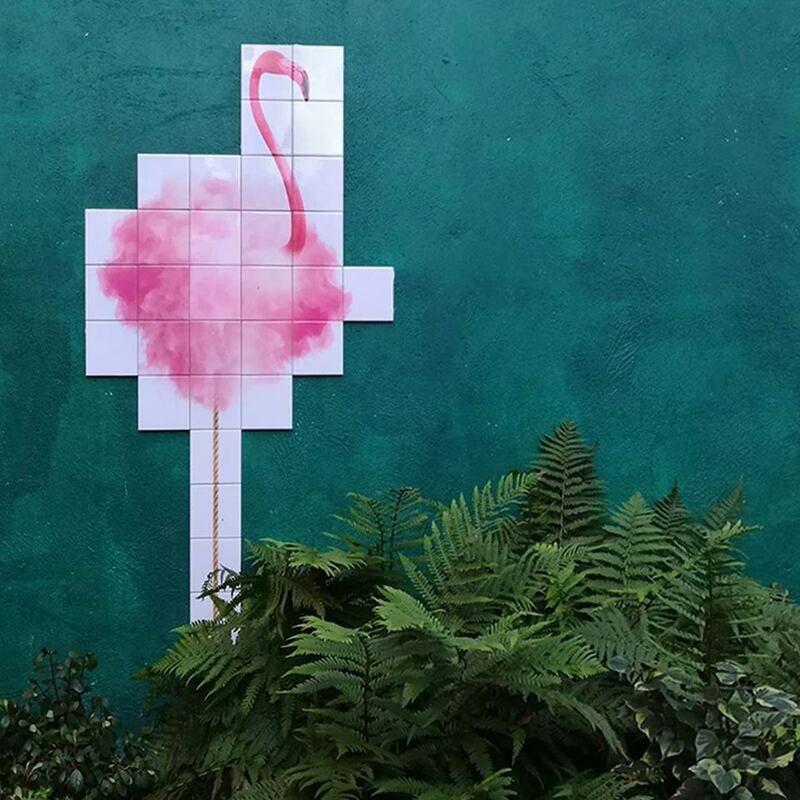 The Portuguese visual artist and illustrator AddFuel uses yet another technique to shape his own contemporary version of the traditional tile-design. With extremely detailed and impressive combinations of humoristic as well as mentally wicked designs, he demands attention to the smaller elements surrounding us. Reffering to our Do-It-Monday of last week, the stencil-technique is his ultimate tool in the streets to give form to those small and big interventions. And last but not least, Preencher Vazios. 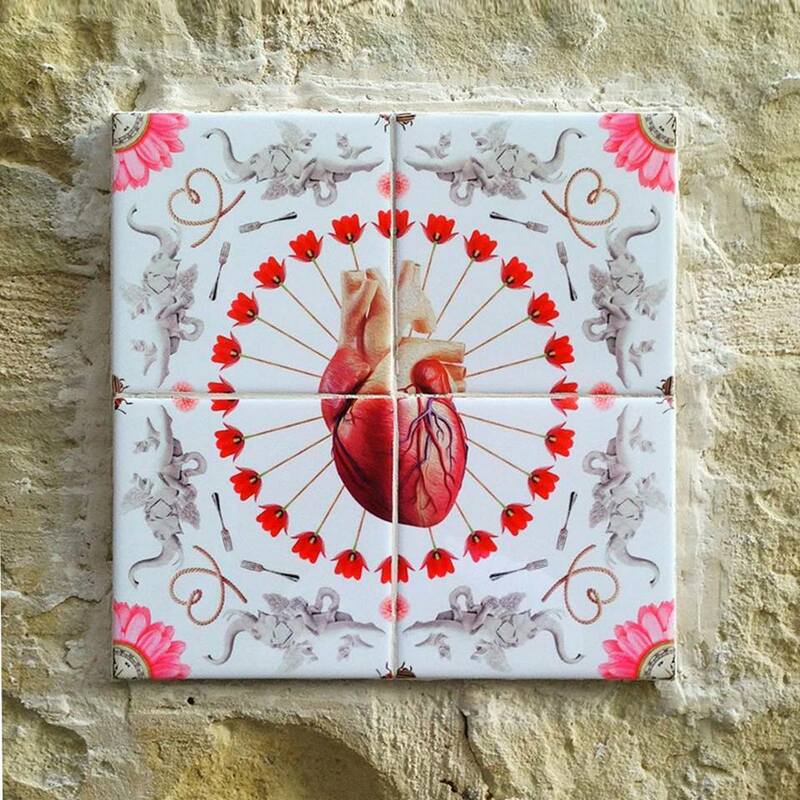 The artistic interventions of the Portuguese Joana invite us to become aware of our surroundings as well as the threat of that cultural tradition of colourful ceramics on walls. 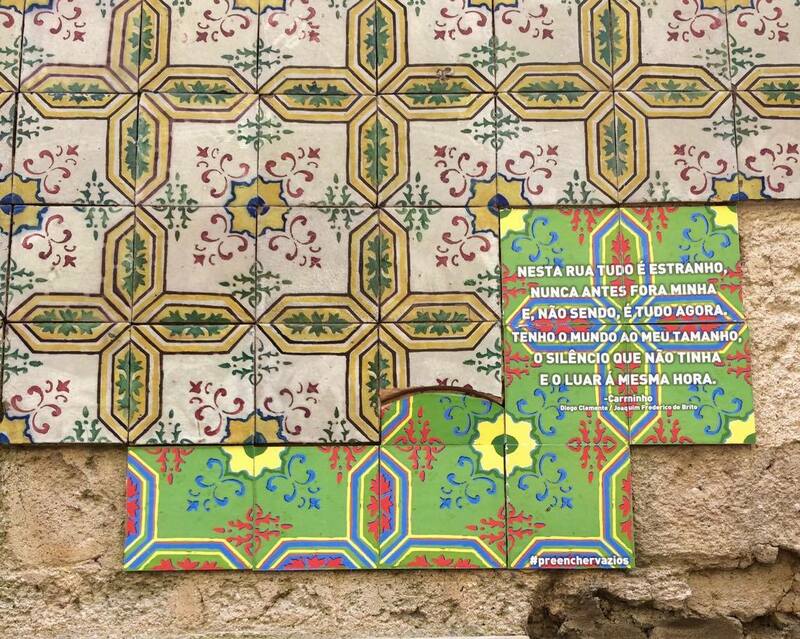 She does not only do this by creating her own azulejo-version filling up in particular the holes of those vandalized as well as stolen façades but also by introducing us to the wonderful melancholy of the Portuguese poetic language. Plus she organizes workshops to do-it-yourself ! So how to create your own? 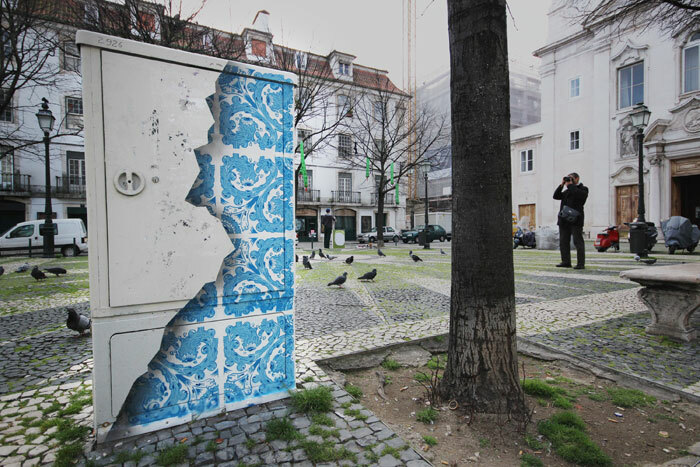 This entry was posted in Blog, Do It Monday and tagged addfuel, artistic intervention, azulejos, ceramic tiles, do it monday, do it yourself, portugal, preenchervazios, street art, surrealejos, tradition, urban art, yesyoucanspray. Bookmark the permalink.